Granville W.G. Leveson Gower – an amateur historian, archaeologist and antiquarian – inherited ‘Titsey Place’, near Oxted, Surrey, during the late 19th century, and laid out the framework of the gardens, ‘joining the lakes together, and giving the lakes more of a “naturalistic” shape.’ [i] The lakes are fed from a chalybeate spring that bubbles up from under a rock in the middle of the gardens, and flows through a stream into the top lake, and then tumbles over a waterfall, under a stone bridge, and into the lower lake. The waterfall is shown in Fig 1, and the bridge is pictured in Fig 2. The date ascribed to this work is c1871, and it is sadly obvious that the waterfall must have deteriorated quite a lot over the years. One would normally expect its face to be adorned with Pulhamite rockwork, but these have weathered away, and one can now only see the remains of those on the banks and under the bridge. 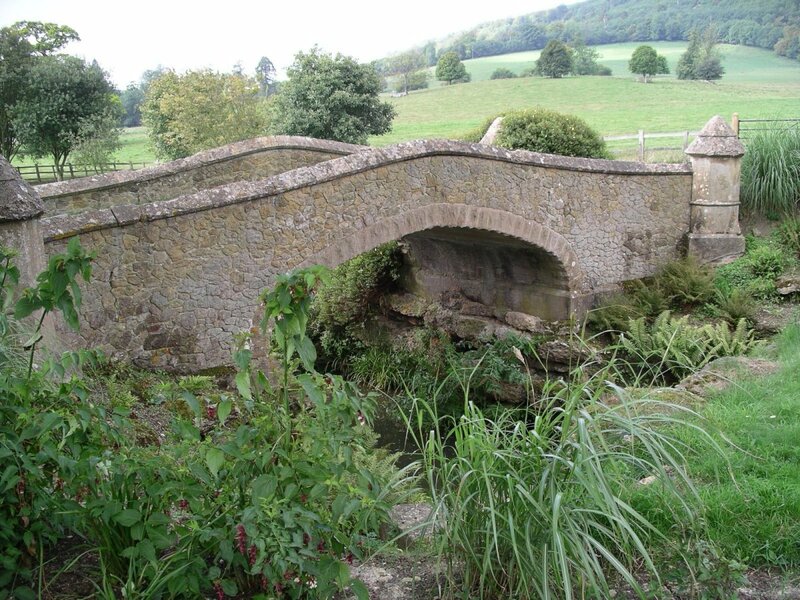 The bridge itself is rather more ornamental than most of Pulhams’ later bridges, with an intricate stone facing and round piers at both ends. 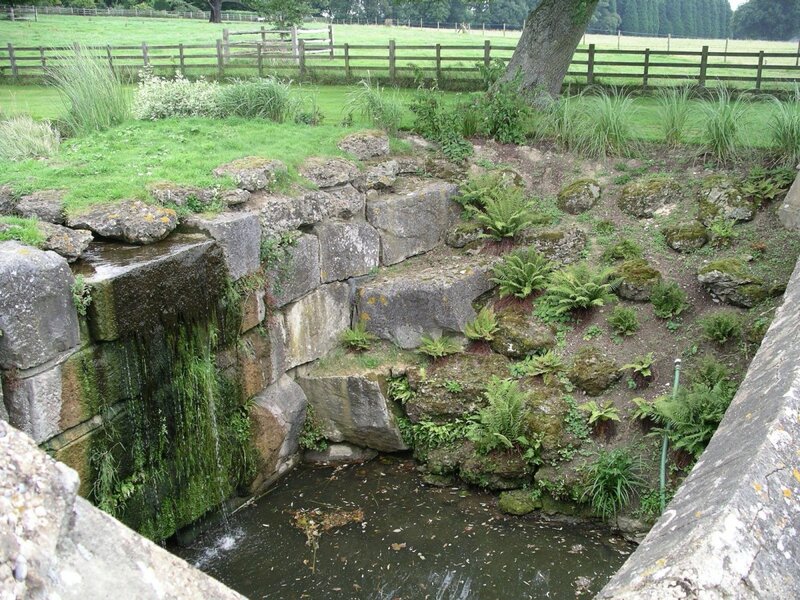 These are the only obvious Pulham features in these gardens, so ‘Titsey Place’ can hardly be regarded as a major site.